David Dean’s tax-day post, asking for advice concerning an upcoming talk to writers, stymied me. I’m usually pretty long-winded, but I had no idea what to suggest to the guy, because I’d never found myself in such a situation. On the other hand, I also know that—to me—the difficult part of writing is not the writing; it’s the selling of what I’ve written. And I figure that holds pretty true for most writers. Thus, I thought “How to sell your writing” might be a good topic, but felt too inexperienced to make such a suggestion. It did get me thinking, however, of how I go about selling work, which brought me into direct confrontation with my feeling that markets tend to be hard to find sometimes. In an effort to find markets that might be interested, I follow blogs such as Cindi Myers Market News. Every so often, I get an email with a list of markets seeking work. The list has embedded URL’s I can follow to get further details and writers guidelines. On Wednesday, I noticed that my latest email from Cindi Myers held a tidbit I thought other SS’ers might find interesting. 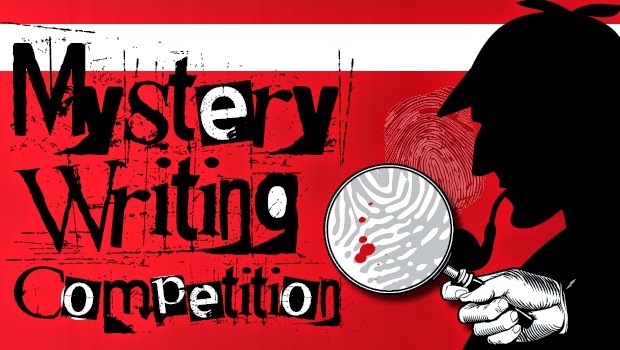 It seems that the Maurice A. Deane School of Law at Hofstra University—a school sometimes better known as “Hofstra Law”—is holding a mystery writing contest. For those who don’t know, Hofstra University is located in Hempstead, Long Island, 25 miles east of NYC. And, not only are they holding a contest, the judges include Lee Child and Marcia Clark (Yep! The same Marcia Clark we saw in the O.J. Simpson trial has now written three novels featuring Los Angeles Special Trials prosecutor Rachel Knight. TNT has optioned her books to create a drama series.). The third contest judge is Alafair Burke, a Hofstra Law prof. who has written ten novels, including her Ellie Hatcher series. The prizes aren’t huge, and contests really aren't my cup of tea, but anyone looking for a possible chance to have Lee Child or Marcia Clark look over a manuscript of 3500 words or less (maybe just for S&G lol), might like to click HERE. for more details. I wonder what blogs YOU follow, or other sources you use to learn about new markets. Love to hear about them in the comments. Dix, thanks for the market news link. Also, I noticed that the Hofstra contest has respectable judges and good prize money WITH NO CONTEST ENTRY FEES. Seems so many writing contests these days have entry fees as fundraisers, while for my part, I have become mercenary enough about my writing that it is my opinion the money should flow to the writer, not from the writer. Hooray for this contest....except, unfortunately, I don't write stories about lawyers. That's a darn good point, R.T.! Thanks for mentioning an aspect of the contest, which I had overlooked. There is no entry fee, and the 500-buck first prize is certainly nothing to sneeze at. The judges are mostly well-known names with a string of best-sellers under their belts, which I find very interesting, and thought would make for a fun piece of news. On the other hand, I don't usually enter contests, and -- like you -- I don't usually write stories with lawyer-protagonists. Perhaps that’s why we’ve gotten so few comments today.